You can make this needle book completely out of felt or make a fabric needle book that is all fabric except for the felt pincushion. 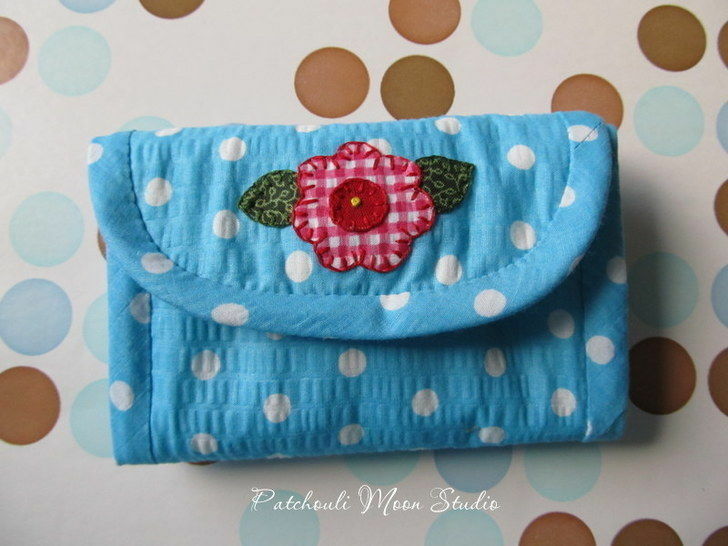 This needle book not only has a place to put your needles, but a built-in pincushion and pocket too. Use the pocket to hold your thimble, small or folding scissors, and package of needles. Both the felt and the fabric needle books can be made using all hand embroidery stitches. Or if you prefer to use machine embroidery stitches for your fabric needle book you can do that instead. The choice is yours. Either one you choose to make they use small amounts of material. You can even up-cycle an old wool garment for the wool needle book.